With many hundreds of different perennials, at Wye Nursery Ltd, we have concentrated on growing nearly one hundred of the plants most in demand. 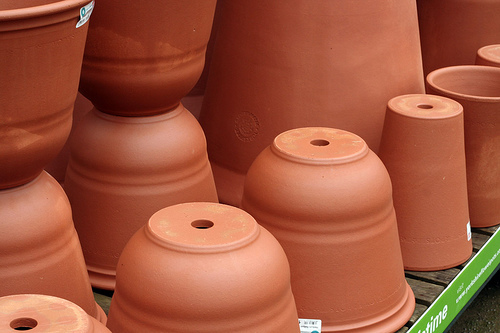 They are available in five and a half inch and 6 inch terra cotta coloured pots. 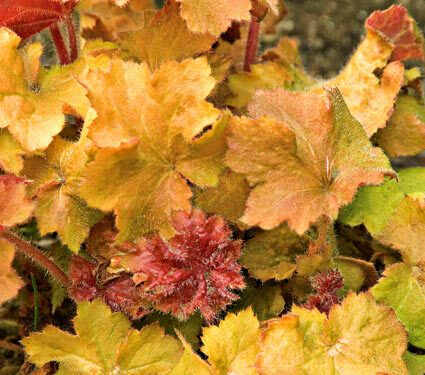 Heuchera has creamy white flowers set off by bronze coloured ivy shaped leaves that are purple underneath. Very popular in border areas, clumps, and containers. 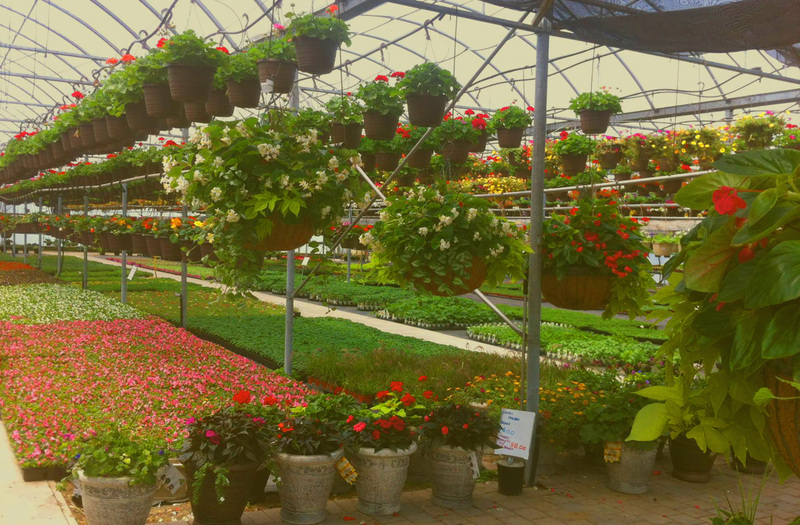 Flowers all through the summer in sun or partial shade, in well drained alkaline, organic soil. 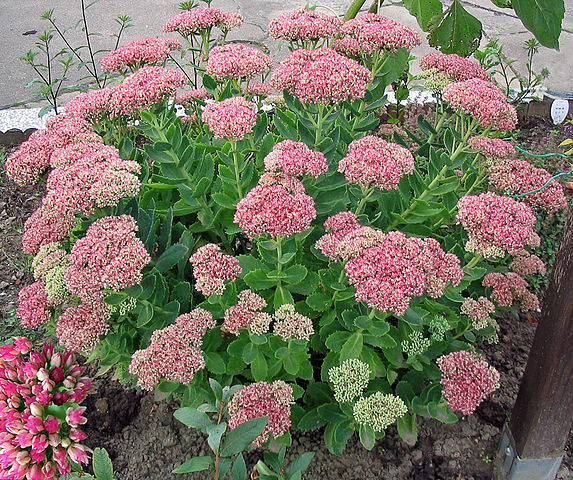 Sedum shows heavily clustered flowers, set off by light green leaves forming an attractive mound. Flowers turn from pink on opening, to a dark bronze-red at summers end. Excellent plant for a border or rock garden, in sun or light shade and well drained soil. 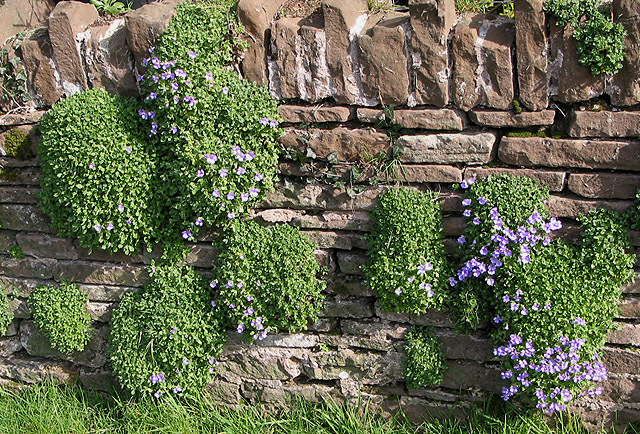 Aubretia (Rainbow Rock Cress) is available in lavender, rose and lilac. Offers a profusion of low growing attractive flowers, set off by dense green foliage. Excellent rock garden plant that should be planted in sunny, well drained soil. 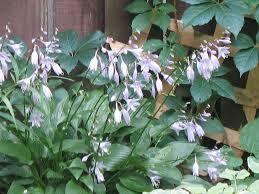 Hostas come with lavender-lilac or white flowers on long stems. Attractive foliage in a variety of greens or two-tone greens. Easily grown in good, moist, well drained, well composted soil, in shady areas. If plants grow too large they can be sub-divided. 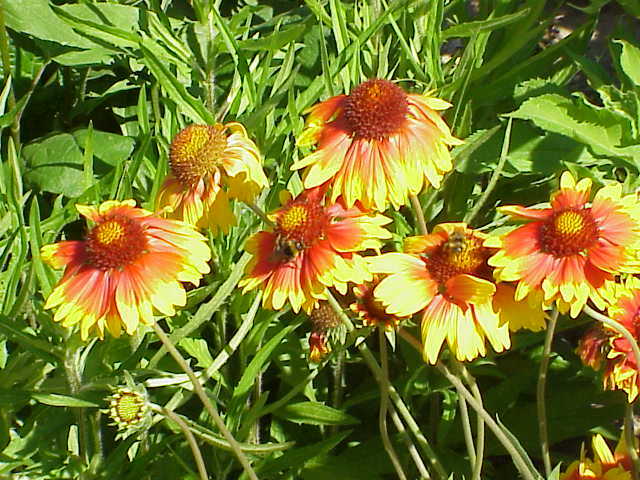 Gaillardia has red daisylike flowers with yellow tips. Excellent for borders, clumps or containers. It grows easily in hot dry areas, blooming all summer. Height twelve to fourteen inches.